Can You Force Your Child Into Rehab? What's the Difference Between Rehab for Teens and Rehab for Adults? Rehabs for teens help adolescents overcome their addictions to alcohol or drugs. They come in a variety of formats and focus on helping teens stop their drug use and make other positive changes in their lives. Choosing the right program requires taking into account the teen’s particular situation and needs. Laws vary by state in terms of whether a parent can force a teen into rehab. Teenage recovery programs exist to fill a gap in the treatment of substance addiction among young people. Teen recovery centers catch kids who – without dedicated teen recovery facilities – would likely slip through the cracks. A teenage recovery facility can be a place to lift a teenager out of the tailspin of drug and alcohol consumption and put the teen addict onto a new, healthier track of sustained sobriety. If you or someone you know is trapped in an addiction, you’re dealing with a potentially life-threatening medical condition. Please reach out for help by calling a helpline today, and talk to sympathetic professionals who know what help is available. Teen drug and alcohol addiction isn’t a light matter. Teen drug recovery centers and teen alcohol recovery centers alike face the results of kids’ addictions every day. Teen drug recovery programs exist, along with their counterparts, teen alcohol recovery programs, in every city, each of them working to meet the needs of teens who need addiction care. The Centers for Disease Control and Prevention found that alcohol alone is implicated in over 80,000 avoidable deaths every year. To leave teenagers exposed to the dangers controlled substances present is to abandon them to one of the greatest hazards society has to offer. Ethanol poisoning, to which teens are especially susceptible, is often the result of binge drinking and other risky behaviors. If you are a teenager with a substance abuse problem, or if you’re in contact with a teen who needs help, a teen addiction treatment center or teen addiction facility is a good choice. If you call a helpline, you’ll be in touch with people who can help you find a teen drug or alcohol addiction recovery center to suit your needs. Teen addiction treatment facilities often find it necessary to move quickly to assess the needs of incoming patients and begin preparing treatment plans. After you are processed, what happens next depends greatly on the type of program that’s been chosen. Some treatment facilities follow the medical model for treatment and are highly structured clinical programs that focus mainly on detox and supervision of the resident’s health. Others are far less clinical and more like a vacation resort. These facilities are usually no less dedicated to the physical health of their residents but have also made the effort to create a luxurious, almost spa-like setting. Patients in these facilities, almost all of which are privately owned, typically pay more for their stays, which might not be covered by insurance. Privately paid addiction recovery centers do have their advantages, however, because these centers often have a lower staff-to-patient ratio and frequently exist as a part of a larger network of addiction recovery treatment providers. Choosing the teen recovery center that’s right for each individual’s circumstances can be difficult, but doing the research and taking the time to learn what options are available can make all the difference. 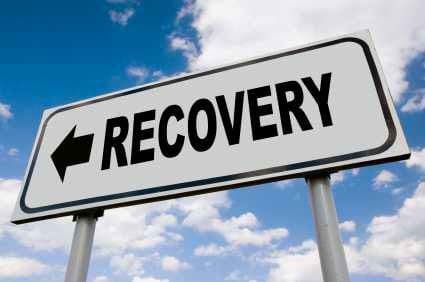 No matter which treatment option you choose, a successful recovery program that leads to a long sober life is the ultimate goal. Inpatient or residential rehab: Inpatient teen rehabs require teens to live at the facility while in treatment. They can last from 30 days to 90 days, and services often include detox; individual, group, and family therapy; medical supervision; and follow-up care planning. These programs may be a good fit for teens who have serious addictions, abuse more than one drug, struggle with mental health issues, and need to detox. Outpatient rehab: Outpatient teen rehabs range from more intensive programs that meet several hours a day multiple times of the week to individual or group therapy sessions that meet once a week. These programs do not require you to live at the center, and they may be a good fit for teens who do not have serious drug or alcohol abuse issues or have completed an inpatient program but still need some form of support. Wilderness therapy programs: Wilderness or outdoor therapy programs are alternative approaches to addiction treatment for teens. The programs involve spending time outdoors and learning life and survival skills. They are led by trained therapists and incorporate traditional forms of therapy, such as individual or group counseling. 12-step programs: Twelve-step programs combine a structured recovery program with peer support. Teens work through a series of steps with the help of a sponsor who has achieved and maintained sobriety. Types of programs include Alcoholics Anonymous (AA), Narcotics Anonymous (NA), and Teen Addiction Anonymous. Non-12-step programs include SMART Recovery and Secular Organizations for Sobriety. While each case is different and each addict is unique, one thing that remains true across the board is that it’s never a bad idea to begin reaching out for help. There is no uniform law when it comes to whether a parent can place their teen into rehab without their consent. Laws vary by state in terms of who can make the decision to enter treatment. They can also vary by type of treatment. California requires either parent or minor consent for inpatient and outpatient rehab. New York requires either parent or minor consent for inpatient and outpatient rehab. Florida requires either parent or minor consent for inpatient rehab, but only minor consent for outpatient. Mississippi requires parent consent for inpatient rehab but minor consent for outpatient rehab. It’s best to check your state laws (Table 1 in the link) if you’re unsure about whether you can send your teen to rehab without their permission. What’s the Difference Between Rehab for Teens and Rehab for Adults? Rehab for teens is tailored to this specific needs of this age group. However, many of the elements in teen addiction rehabilitation are the same as they are for adults. Family support is a major component in a teen’s recovery. Families are encouraged to participate in their teen’s treatment. Therapy focuses on improving relationships and communication at home. In addition, treatment may focus on issues specific to teens, such as peer pressure, body image, bullying, and self-esteem. Teens may also be able to complete schoolwork while in rehab. Teen recovery centers and teen recovery facilities save the lives of thousands every year. Teenage addiction recovery programs are available to any who have need of them and are sometimes the best hope for those who need help. Call today for information on local teen recovery facilities.
. Kerwin, M.E. et al. (2015). What Can Parents Do? A Review of State Laws Regarding Decision Making for Adolescent Drug Abuse and Mental Health Treatment. Journal of Child & Adolescent Substance Abuse, 24(3), 166–176.
. National Institute on Drug Abuse. (2014). Principles of Adolescent Substance Use Disorder Treatment.